Our engineering and R&D departments work together to develop designs to fulfill needs both common and uncommon. 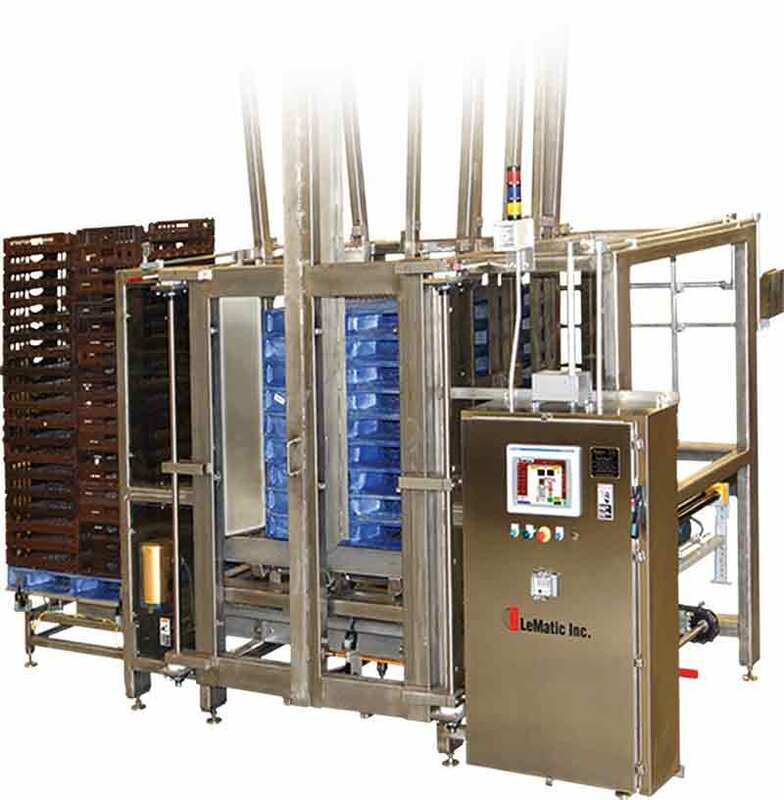 LeMatic’s Servo Series 90 Smart Infeed 4-Stage Conveyor auto-corrects the spacing between stacks of product to ensure proper introduction into the bagger. the amount of hands needed on your lines. 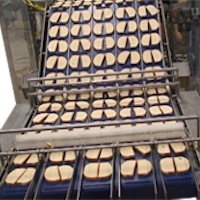 Sliced loaves are lifted by “elevators” and separated into individual slices by a Lay-Down Conveyor. 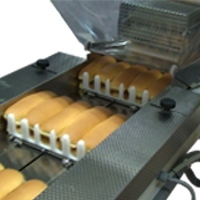 After moving through an inspection conveyor to ensure proper allignment, the slices are transfered through a Turning Section, orienting the pieces in the desired position for downstream applicators and/or packaging. 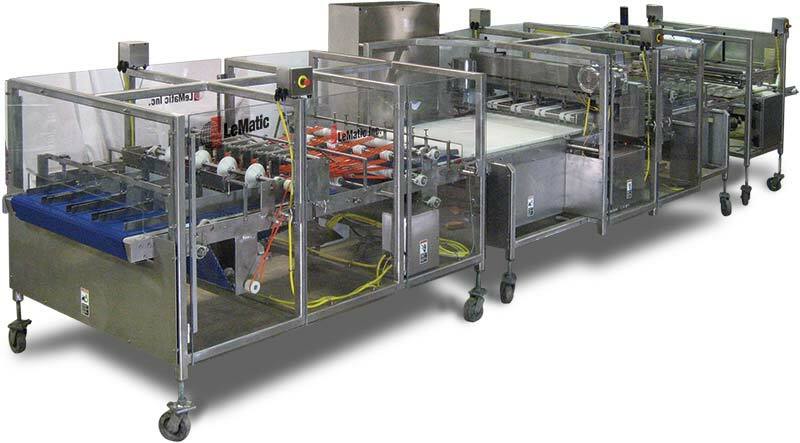 Interface any flow wrapper equipment with LeMatic’s Flow Wrapper Infeed System. 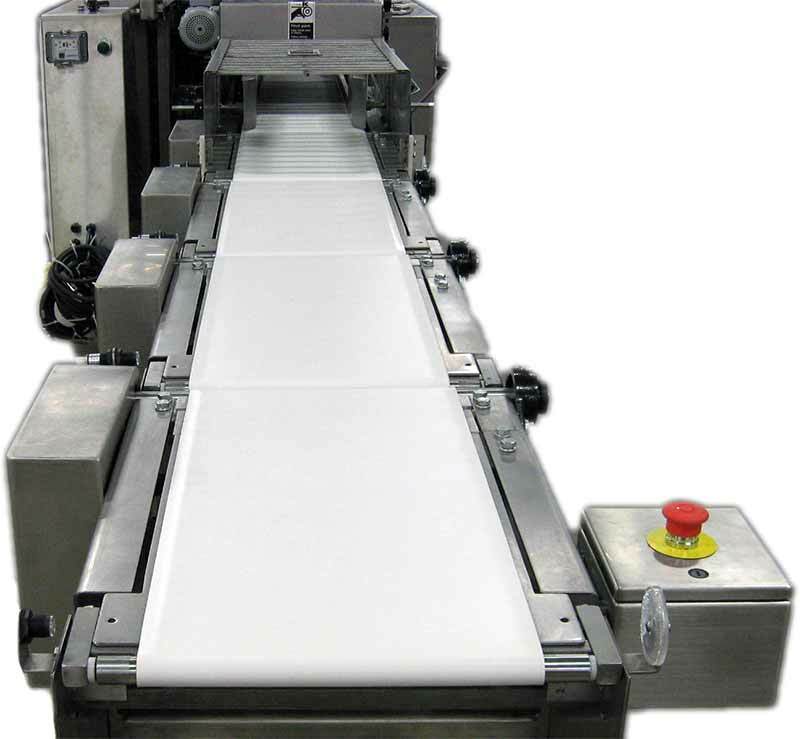 Whether it’s a right angle/straight line transfer, or a single/double-stacked package, let LeMatic come up with the solution your infeed needs!